Do not get confused with Ty-Castell guest house, Carmarthen. The guest house is fully compliant with all health and safety regulations, business insurance requirements and Listed with Visit Wales. Reasonable notification and update of arrival time is necessary to obtain access as i am a sole proprietor/ manager. Rates can vary depending upon occupancy and events. Please use email or text/messenger if a late hour or in morning during breakfast 07.00 - 10.00 thank you, or use booking.com for ease. This is the only official website. Information and images on booking.com are up to date and submitted by myself. Other websites may include inaccurate and out-of-date information, which I have no control over. Tripadvisor in particular shows obsolete and inaccurate representations of the property today from 2012. I have been unable to persuade them to remove despite my concerns. Visit Wales [ Ref: B203947]. Visiting Cardiff and South Wales? 20 minutes from Cardiff by car or train. 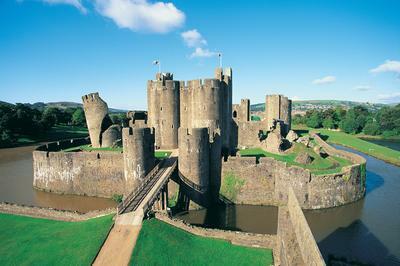 Whether you are visiting family and friends, attending a wedding, or on business, enjoy a day or two strolling around the sprawling castle grounds (pictured here!) and vibrant town. Enjoy a day out shopping and dining in Cardiff (15-20 minutes), take-in a concert or sporting event, and stroll around Cardiff bay. 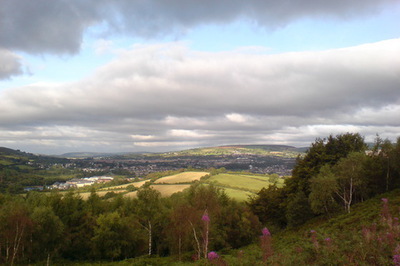 Take in a viewing point (Caerphilly Mountain or Rudry Common) to see panoramic views of the valley and beyond.